Established in 1972, J. P. Self and Associates has 46 years experience in the sales of drilling rigs and related drilling products. We are distributors of Soilmec S.p.a. drilling rigs, Polymer Drilling Systems - PDSCo Super Mud, Kennametal cutter bits, Hensley, Jiffy Products, Pengo Attachments, Pieresearch rebar alignment tools and more. 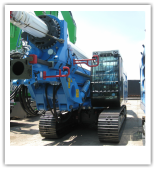 J. P. Self and Associates, Inc. is a distributor for Soilmec drilling rigs. We also sell all types of used drilling rigs: Soilmec, Watson, Texoma, Hughes, Spiradrill, Calweld, Stratadrill, Stratadyne, Ez-bore, Bayshore Lodrill, Casa Grande, Hain, PDI, Terra, Williams and Sterling. If we don't have a drilling rig we can find it. If you have a rig to sell, contact us! Kennametal teeth, one of the leaders in the manufacturing of top quality carbide cutter bits, is provided by J. P. Self and Associates at one of the lowest rates in the United States. We are a Master Distributor for Kennametal teeth. We sell the complete PDSCo line of products, including Super Mud and Pond Seal. We handle a full line of slurry products, polymers and bentonites with technical assistance and site specific programs available for your drilling project. 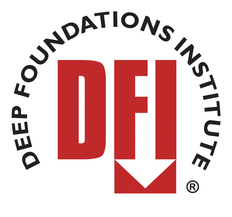 (See the pages titled Drilling Fluids or Sodium Bentonite). ​bits or with flat blades. Augers, cutter bits, and pockets are available from Kennametal, Terex, Belltec, Pengo Attachments, Jiffy Products and Hensley - at very competitive prices. J. P. Self and Associates carries the complete line of PIERESEARCH​ products; quality tools that ensure your rebar cage is properly aligned, and concrete coverage meets job specifications.